As a child of the seventies, I spent my early teens with my mates making jumps out of planks of wood for my trusted Raleigh Grifter. Sounds familiar? Fast forward 30 years, and I had passed the dreaded 40 mark and the most exercise I had was the annual family ski trip where copious glasses of vin chaud meant actual time skiing was somewhat limited. Sounds familiar? Work, marriage, son, full on job, moving to new area had all meant head down and trying to keep everything on an even keel. When my wife suggested hiring bikes at the local mountain bike centre (one of the top mountain biking centres in the country, I hasten to add! ), I swithered. Wasn’t that just for kids and teenagers? After a handful of green runs, my son was not impressed. I however was hooked and before I knew it, Alpine Bikes were handing my first grown up ‘hard tail’ steed. Within a few weeks, the initial intimidation I had felt from the ‘rad and knarly’ bearded dudes I encountered was replaced with a warm, fuzzy feeling of smiling and waving to other riders, sharing local knowledge of the trails and the odd tip or PB info. I rapidly became a Strava junkie, upgraded to a ‘full sus’ model and looked forward to having a cup of coffee in the bottom of the hill and arranging to meet up with other riders I had met on the hill. We were a community of riders all enjoying our bikes, being outdoors and challenging our bodies. None of the moaning about jobs, politics and mothers in law – it was ALL about the bikes! Very quickly however I began hearing stories of bikes being stolen – outside the café, car bike racks, garages… and I was saddened at the grim resignation of riders that they would never see them again. My new bike meant more to me than its monetary value – it had opened up a whole new world and we shared so many memories – blood, sweat and tears – literally! Why should thieves get away scot free with our beloved bikes? And would a thief in London be bothered to take the bike out of the city? They could all be under our noses but unless the bikes are registered, how do you prove it is yours? Reading an article in the newspaper about how bike theft had dropped after the police in Cambridge had put up posters above the university bike sheds with a pair of eyes watching them, got me thinking. I knew there were bike registration companies out there, I had in fact registered my own bike on one of them, but proving you owned the bike was of no use to you if you didn’t know where it was. What about if you could have a ‘pair of eyes’ on your bike, warning thieves that they were being watched and if they did dare to steal it, there would instantly be hundreds of ‘eyes’ looking out for that bike. Running over the idea with an IT geeky friend, we came up with the idea of combining mobile app technology with a visible QR code sticker which could be attached to the bike – linking that particular bike with its owner, so that if it was stolen, alerts could be instantly transmitted to Veloeye community users and broadcast on social media. Time is always of the essence when dealing with thieves – don’t give them time to safely leave the vicinity. If a user thinks the have seen the stolen bike they could scan the bike for its status – ok or stolen – and alert the owner where it had been located. Many months of development followed in conjunction with meetings with police, mountain bike centres of Scotland, Alpine bike retailers, business advisors and individuals and until we got to the point where we could start marketing the system. We have kept the price of the system as low as possible with the aim of rapidly developing large communities of users around the country. The more users we have, the more effective the community will be. So far, the reaction has been very positive. One retailer called it a ‘no brainer’ for the price – why wouldn’t you invest a tenner in protecting your beloved steed? 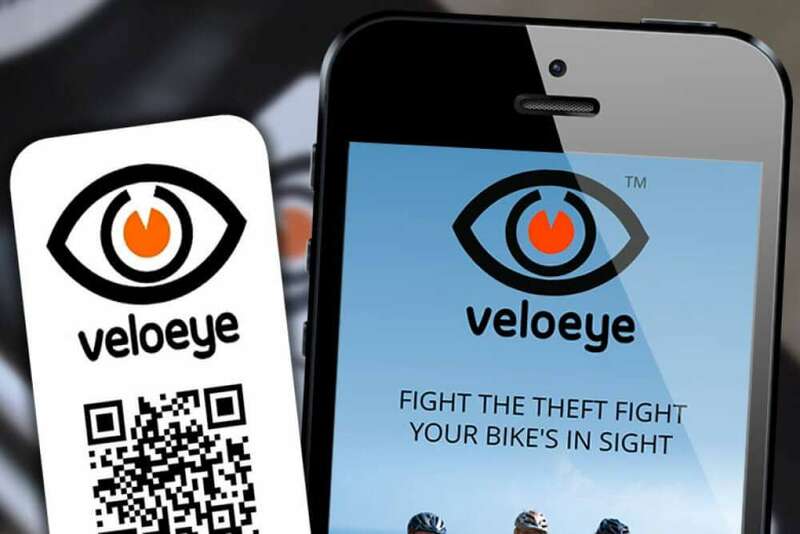 I think cyclists do have a common bond and feel a certain social responsibility towards one another and Veloeye may just help them to help one another in combating bike theft. The opinions, representations and statements made within this guest article are those of the author and not of the owners of stolenride.co.uk as a whole. Any copyright remains with the author and any liability with regard to infringement of intellectual property rights remain with them. The Stolen Ride site owners and affiliates accept no liability for any errors, omissions or representations. Stolen Ride are not connected/affiliated to the author and do not endorse the mentioned company and/or product(s). The post is for information only.